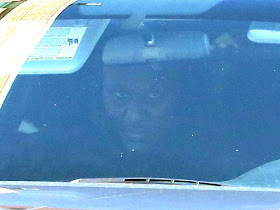 Lamar Odom still has a long, long road to recovery, but the formerNBA star is getting closer by the day,after leaving the hospital for the first time on Friday! Related: Get All The Latest Updates On Lamar! Now, we are learning a little bit more about what's next for the sports star — a live-in rehabilitation center! "At the center, Lamar will continue to receive amazing therapy. He still has many challenges but is making progress. He is a fighter!" While Khloé Kardashian's ex has a long, long way to go before he's fully healthy — if he can even get all the way back to his old self — at least there's a slightly larger light at the end of the tunnel with news of the rehabilitation center! Photo: Lamar's Son Reveals The Athlete's First Pic Since Hospitalization! Here's hoping the very, very best for Lamar!